Are you oversharing or going over the top? Find out with the TMIC Test. | The Precocious Urchin Co.
Are you oversharing or going over the top? Find out with the TMIC Test. Steve Urkel (left) – child prodigy and infamous over-sharer of the early 1990s. If you’re not old enough to remember that one of the most internationally beloved figures of the early 1990s was an African-American teenager who invented groundbreaking technologies for the express purpose of pleasing his neighbor and unrequited love on the South Side of Chicago, then you’re probably young enough to have heard Jay-Z and Kanye West mocked in his name for the crime of wearing glasses while Black and male. 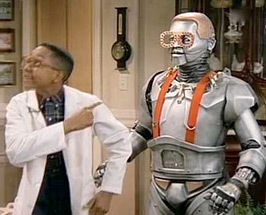 The tragedy of Urkel was that he could have been a social butterfly and a trillionaire in his teens. After all, he invented exploding vegetables, a cloning machine, an expansion machine, a time machine, a teleportation device, a high school dance craze, and a serum and transformation chamber for multiplying an individual’s cool genes. His habit of oversharing and going over the top with his inventions was simply too obnoxious for people to focus on his desirable traits. Instead, his income was derived from working the window of the fast food restaurant Mighty Weenie. He did that at minimum wage, with only one bathroom break granted every six hours, for years. Urkel’s story could be a cautionary tale for people who try to gain admission to their academic program of choice or beat stiff competition for a job by letting admissions and hiring committees in on their darkest secrets, creating application packages high in shock value, and otherwise being too creative or sharing too much information. But how do you know when you’re oversharing or going over the top, especially when one committee’s idea of “too much” is another committee’s idea of “just right” or “not enough”? It’s a matter of fit – right time, right place – and The Precocious Urchin’s TMIC Test (for “Too Much Information and/or Creativity) takes that into account. Before you submit your college application essay or your innovative resume, take the TMIC Test to determine whether you may have gone too far with it. The test shouldn’t inspire you to completely discard your materials. However, if the results indicate that you may be oversharing or going over the top, then perhaps it’s time to work with me or another consultant in tailoring your materials to their intended audience. Take the TMIC test here. Founder of The Precocious Urchin Co. This entry was posted in Career Development, College admissions, Essay writing, Grad school admissions and tagged college admissions, Essay writing, Family Matters, Grad School Admissions, Jobs, oversharing, resumes, Steve Urkel, too creative, Urkel. Bookmark the permalink. What makes an ideal education consultant? Is it ever too early to prepare for the college admissions process? What do college admissions committees consider "oversharing"?